Hey, are you planning on going to see the Ford display at the North American International Auto Show in the next week? Well, if you do, you’ll not only get an eyeful of new vehicles like the 2017 Fusion and the F-150 Raptor SuperCrew, as well as new technologies including FordPass, but you will also get to check out an LED-heavy exhibit stand that is super bright and flashy. 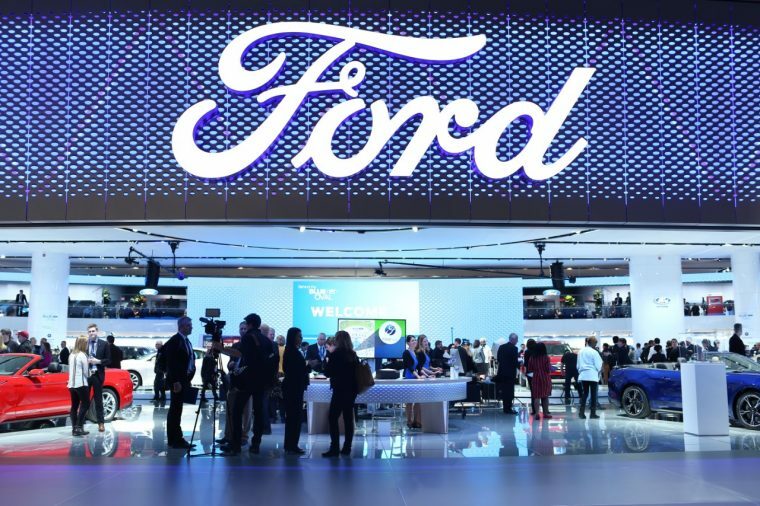 Ford’s NAIAS stand features, among other things, two 36×19-foot LED video walls that glide on laser-guided magnets in a fashion reminiscent to how F-150 parts are transported at the Dearborn Truck Plant. Vehicles are displayed on rotating turntables, and videos are shown on 114 million LEDs. There’s a Super Duty testing simulator, an Explorer Platinum virtual ride-along, and everything is incased in an aluminum oval lined with the 360-degree LED ribbon. Basically, it’s all really shiny and opulent. Which it has to be, as Ford expects 70% of all NAIAS attendees to stop by and see what Ford has on display.